Fieldprint provides a unique suite of identity management services unparalleled in breadth, sophistication and user-friendliness. We offer the largest Livescan and remote services network in the nation. Many federal government agencies and departments rely on Fieldprint’s identity management services, including: the Centers for Disease Control (CDC), the Federal Deposit Insurance Corporation (FDIC), Financial Industry Regulatory Authority (FINRA), Nationwide Mortgage Licensing System (NMLS) and more. We also are authorized to channel fingerprints directly to the Federal Bureau of Investigation (FBI), the Office of Personnel Management (OPM), the Defense Security Service (DSS) Secure Web Fingerprint Transmission (SWFT) and the Transportation Security Clearinghouse (TSC). A leader in statewide fingerprinting programs, Fieldprint has extensive experience providing services to multiple state agencies, including Arizona, the District of Columbia, Florida, Hawaii, Ohio, Oregon, Washington and Wisconsin. Our services can be configured to deliver standardized programs across entire states or to provide specific requirement-driven programs to individual state agencies and departments. With our highly-configurable infrastructure, we can support numerous store and forward and other technical configurations that may be required by various state CJIS departments. From school districts to local housing authorities, Fieldprint provides innovative, high-quality identity management solutions to all sectors of local government. With an easy-to-use online site location finder and scheduling website, a range of badging options and a wide selection of fingerprinting technology configurations, we provide efficient solutions to meet your needs. We proudly serve many of the school districts in Florida, the Milwaukee Public School system, housing authorities across the nation, as well as a wide-array of other local and municipal agencies. We support many tribes across Indian Country with our suite of identity management solutions. From gaming to child care – we understand the specific needs of Indian Country and provide thoughtful, customized, cost-effective solutions to many tribes across the nation. To help support this effort, Fieldprint is authorized to channel fingerprints directly into the Federal Bureau of Investigation (FBI) and the National Indian Gaming Commission (NIGC). We also work with the Bureau of Indian Affairs (BIA) to provide specific programs to Indian Country. Fieldprint provides a full range of identity management services to all segments of the private sector exclusively through its sister-companies: Business Information Group (BIG), which serves banks, securities firms and other financial services entities; Certiphi Screening, which serves the healthcare and life sciences communities; and Truescreen, which serves other industries, schools and non-profit organizations. For more information on these companies, please visit BIGReport.com, Certiphi.com or Truescreen.com. By going directly through Fieldprint, any U.S. citizen or permanent resident alien can request their own FBI National Criminal Records History Report as authorized under 28 CFR 16. Simply schedule an appointment online at fieldprintfbi.com, pay the designated fee and have your fingerprints collected at one of our more than 1,200 collection site locations. As soon as your fingerprints are captured, Fieldprint will submit them directly to the FBI for processing. Once the search results are received by Fieldprint – usually in less than 24 hours – they are delivered to you electronically. At the heart of Fieldprint is HANK, our one-of-a-kind proprietary back-office management system. HANK is the platform for our entire service delivery program. 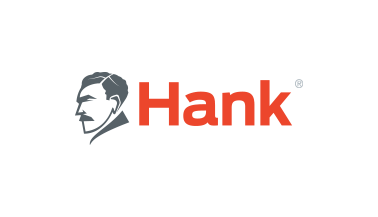 HANK is named after Dr. Henry Faulds, the British physician who in 1890 was the first to suggest that fingerprints could be used to identify criminals.